Is your brand strategy to run a sprint or a marathon? Knowing the health of your brand will help you gauge your stamina and help you reduce the risk of a heart attack. 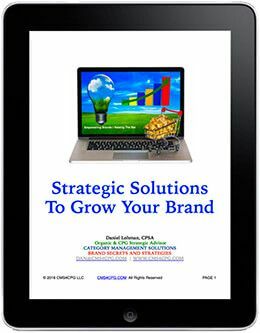 Healthy brands live longer requiring less capital and giving you more runway to grow sales. Welcome. I appreciate your listening. I hope you’re enjoying this podcast. Remember its about you and it’s for you. I appreciate all the great feedback and comments. If you like the podcast, please share it, subscribe and leave a review on iTunes. Don’t forget that there’s a free downloadable guide at the end of most every episode. I was tried include one easy to download, quick to digest strategy that you can easily adopt and make your own – one that you can use to grow sustainable sales and compete more effectively. 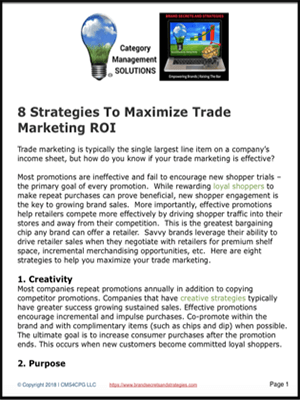 Remember the goal here is onto get your product on more retailer shelves and into the hands of more shoppers. Do you know how healthy your brand is? Few brands can answer this question with certainty. I’m not asking you if you have a lot of money in the bank. 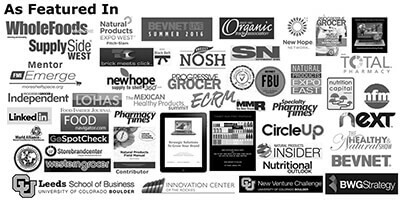 I’m asking do you know how much your brand contributes to the category and your company’s overall health. Let me explain. Retailers want their shelves filled with healthy brands that deliver consistent sales growth and more shoppers. Any brand with deep pockets can artificially grow sales through deep discounts and promotions. This strategy however, is not sustainable, and more importantly, it frequently dilutes category growth. Those brands are typically here today and gone tomorrow. Retail is a marathon, not a sprint. You worked hard to build your brand, now you want to see it grow and flourish. Knowing your brand’s health is the critical first step in building a legacy brand. Leveraging the health of your brand in your selling story with retailers establishes your commitment to helping them compete more effectively in their market. The health of your brand, or your contribution, is what retailers “take to the bank”.